How to Optimize the DaVinci Ascent Vaporizer? DaVinci are quickly making a name for themselves in the vaporizer world with their exciting range of products. Known for their high specification units, DaVinci continue to provide us with the best in the business, in this article we will look closer at the Ascent portable vape, its best features and the best ways to optimize its use. Vaping is a relatively new hobby, with more and more people getting involved every day. The days of bongs, joints, pipes and blunts are becoming numbered since the switch to vaporizers became possible and it’s becoming more and more obvious that the popularity of vaping is growing. Considered to be a far healthier alternative to the traditional methods of smoking, vaping is holding its own quite easily and is expected to overtake smoking in the long run. With vaporizers as impressive as the DaVinci Ascent, among others, it really comes as no surprise. The DaVinci Ascent is a dual purpose vaporizer. By this we mean it is compatible with both dry herb materials as well as the concentrates, waxes and oils we see more often nowadays. While there are cheaper single purpose vapes out there, there are very few which can vape both while keeping its other features up to scratch. The ability to switch between the materials you are vaping make the Ascent a far more attractive proposition. For the best results from your dry herbs, be sure to grind as finely as you can. Try to use a grinder or similar means to break down your herbs as it really does affect the quality of the vapor you produce. The Chamber associated with the DaVinci Ascent vaporizer is one of its finer qualities. Built using a ceramic material, the bowl is also glass coated to ensure flavor is at its maximum potential. The folks at Da Vinci created an excellent chamber when designing their Ascent model. One reason is the actual size, larger than the majority of chambers on the market, you are sure to be happy with how much the Ascent can actually hold. To achieve the most from your chamber it is highly recommended to pack your finely grinded herbs tightly. The DaVinci Ascent works best when its is fully packed. Just be careful not to overdo it and if you feel a strong resistance when you take a draw simply stir your herbs or take a little out. One of the most influential aspects of the DaVinci Ascent vaporizer success is its completely glass vapor path. Designed to ensure the flavor is in no way tainted or flawed, the vapor path in the Ascent works perfectly. The use of glass not only accentuates the flavors of the flower you are vaping, it also prevents those unwanted metallic tastes from influencing your vapor. To achieve the optimum vapor it is highly recommended to take slow, long draws ensuring the airflow is at maximum productivity. Using this method at a relatively high temperature will provide you with thick, potent clouds. 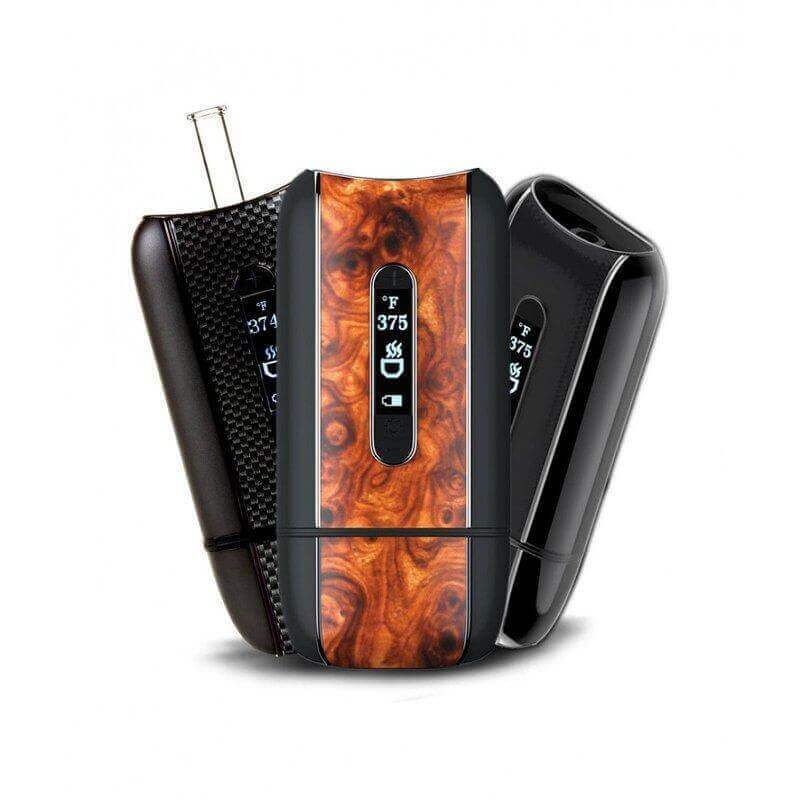 The DaVinci Ascent vaporizer is becoming famed for the impressive power it possesses. The unit is capable of a 3 hour battery life, substantially more than the majority of its competitors and while taking slightly longer to charge than most, it makes up for it by being usable while plugged in. The Ascent reaches its set point in a remarkable 23 second heat up time leaving you far less waiting and far more vaping. When the product is new it is recommended to charge for a long as possible. When initial charge is complete turn the unit on at the highest temperature and leave the chamber empty, this allows any manufacturing oils or residue to be burned away cleaning the unit for your vaping experience. Every good vaporizer these days is packed full of excellent features and accessories, the DaVinci Ascent is no different. From the precision temperature controls that allow you to set your temperature at single increment values to the automatic shut down feature to prevent unwanted battery usage, the Ascent as it all. The temperature settings are actually advanced to the point where you can now have three separate temperatures set to kick at different points in your session. The OLED screen is clear and easy to understand and considering it weighs only 192g portability is far from an issue. To achieve the most value from your dry herb try using the lowest temperature to begin with before gradually increasing. This will give the herb the most opportunity to cook evenly and provide you with little to know wasted bud. Overall, I found the DaVinci Ascent to be a particularly impressive unit. Easily transported, discreet and with a range of impressive functions and features it comes as no surprise to see it gaining the popularity it has. The manufacturers of the Ascent provide you with a 2 year warranty in the unlikely event something goes wrong with your unit and with a reputation for customer satisfaction growing stronger by the day we are sure to see the DaVinci Ascent vaporizer quickly ascend through the ranks. An all round high specification vaporizer for an extremely reasonable price, the reasons to invest in the DaVinci Ascent are simple. Affordable, Discreet & Powerful.